At the Emirates on Sunday, Tottenham arrived with a new look squad but the scoreline had a distinctly familiar ring to it. “1-0 to the Arsenal” was sung by the hugely relieved, home support long after the players had celebrated the final whistle with noticeable vigour. The relief turned to delirium the next day, with the signing that caught everyone off guard. Despite that, I think Tottenham’s business in the transfer window has been far more effective. The natural segue would be to praise the successful work of Franco Baldini and Daniel Levy, but I think there has been a general backlash with regards to the attention paid during this transfer window to off-the-field activities, at the expense of the actual sport we know and love. As Dan Mason of the ESPN FC suggested, we might even start finding player ratings for Chief Executives if this trend continues. Tottenham now have one of the best squads in the league, one to rival even Chelsea and Manchester City. Is that (like the title of this post) merely a provocative, sensationalist claim intended to get a rise out of you, the reader? Grant me two minutes before your appraisal. The most striking thing about this squad is it’s depth. There are very few positions where the second-choice would concern Villas-Boas if he found himself in need. The likes of Defoe, Townsend, Dembele, Kaboul and Friedel all are arguably not in AVB’s first choice eleven. Bale’s departure may have deprived them of someone who could win games single-handedly, but it can also help the team emerge from the pitfalls of reliance on one player. In Lamela and Eriksen, they have two prodigiously creative talents, who are both only 21. Lamela is about as good a replacement around for Gareth Bale. He is blindingly quick and direct, can play both on the right and as a no 10. His time under Zeman has taught him how to inject pace into the game, while he retains the guile of being the heir apparent of Aimar at River Plate. Provocative claim alert: I think he is just as good as Bale. And I still can’t believe the amount the Spurs had to pay to prize Christian Eriksen from Ajax. This is a player who was being touted to become the crown jewel of European midfielders, the new Laudrup for God’s sake! He could easily become the best player in the league in two years. 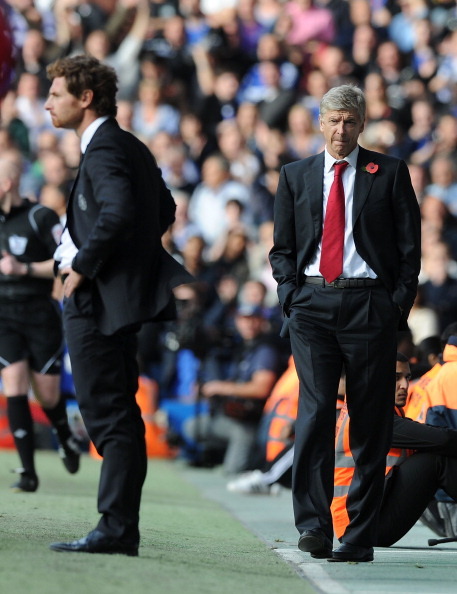 Importantly, it helps AVB over come a tactical obstacle. Against Arsenal AVB didn’t play with a no 10 and his midfield trio, with Capoue sitting deep and Dembele and Paulinho as the midfield runners, lacked a bit of dynamism and creative inspiration. Last year he tried Sigurdsson and Dempsey playing in that position, and later adapted his team to accommodate Bale through the middle, but he has long been craving that trequartista to build his team around. What a coup of a signing! Add to this the reliability of Soldado and the emergence of Townsend, who was their best player against Arsenal, and this team could terrify defences when clicked into gear. And it’s not all in attack; LLoris and Vertonghen are both in the upper echelons of Premier League players, and add a reassuring balance to the team. In fact the only weakness I can see is Michael Dawson being exposed, especially if AVB continues to prefer playing with a high line. The only question mark that remains — and it is the one most people are asking to be fair — is how long it would take for the squad to gel. One or two new players can find it easier to integrate into the core of a new setup as compared to a whole host of new players recently assembled. It’s also worth bearing in mind that this cosmopolitan squad is used to playing teams and leagues with radically different styles, and will take time adjusting to each other and the Premier League. Whether or not Tottenham can finally do what they’ve been threatening to do and pip Arsenal for 4th place will depend on that. But in the longer term, it’s reasonable to expect them to be there or thereabouts, and even threatening to be genuine title contenders. Daniel Levy has been rewarded by investing his long-term faith in the AVB project, and this summer has laid the foundations for the emergence of a fine team. But football is a rather myopic industry, and Villas-Boas will be hoping the teething period is as short and painless as possible. As a long suffering Spurs fan i would love to agree, but when you take into account the mediocre displays last season (that were only saved by Bale) plus the awful displays shown by the likes of Chadli so far, then I cannot share your optimism. Here is my take on the usual Spurs summer fiasco. It’s just three matches in. Give the players time. I think by December it will be much clearer.